I have been browsing my holiday pics. I generally take dreadful photographs, and always wait in anticipation for Darren's view of our experiences. 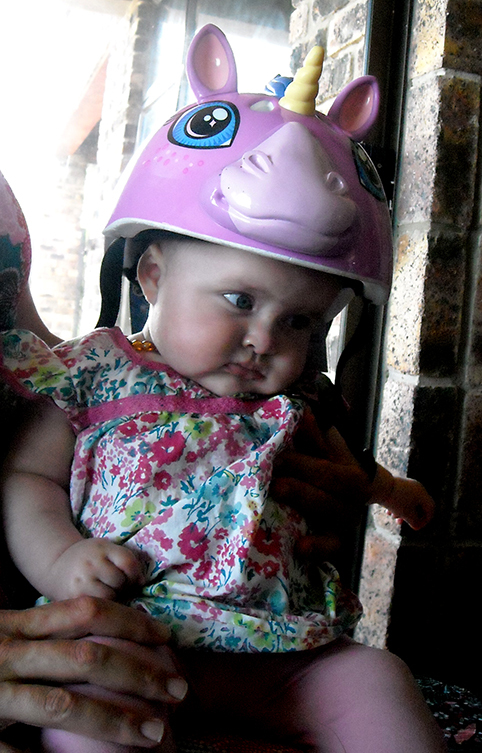 However I love this snap of the newest member of our family, Willow, sporting her sister's unicorn bike helmet.